Influenced by deconstructive ideas of the poststructuralist Derrida and the ephemerality of linguistic meaning, Babel mediates upon the unstable dialogue between spoken and visual texts. Relying heavily on the cultural frame, I drew extensively from my personal frame of reference as a deaf person within mainstream society. I selected elements of personal symbology to deploy in my work including three which are essential. 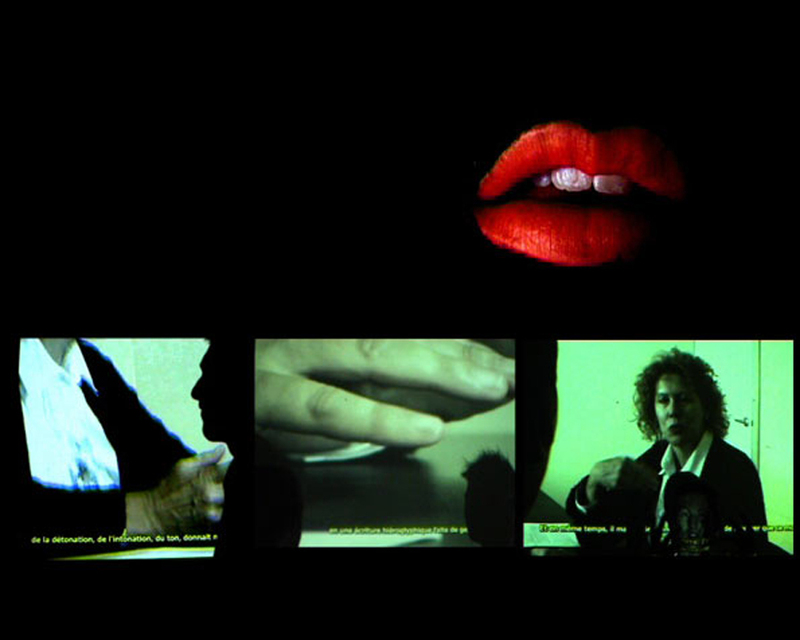 These elements are immediately germane to the concept – the use of captions, the foregrounding of lips and the fragmentation of visual narratives, afforded, ironically, by the video medium.